This is a movie I've never seen but heard a lot about. I did really like Franka Potente in The Bourne Identity. Nope, sorry... Only ''Svenska, Danska, Finska, Norska'' subs and German language in this edition. Have you seen Anatomie/Anatomie 2? 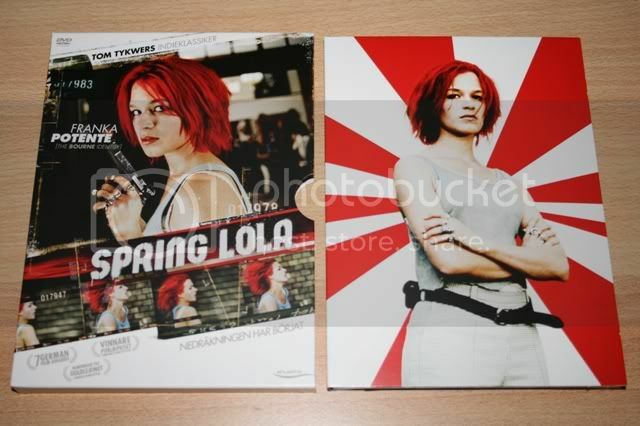 Check it out, Franka had a leading role there as well. Also worth watching Der Krieger und die Kaiserin. She was in Blow as well and Romulus, my father. Oh right, and Creep - hehe... not a good movie, but if you like Franka, you'll love Creep - she has almost 100% on-screen time and tries to escape some psycho, hiding underground.